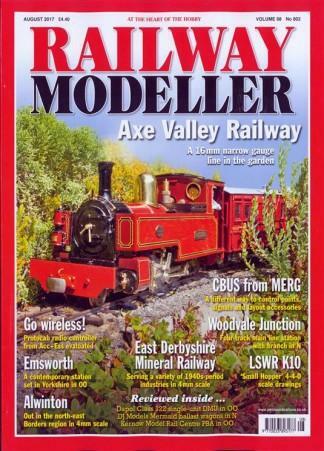 Railway Modeller is the UK's No1 model railway magazine. Every month it features the best from the hobby for those modelling Britain's railways in all the popular scales and offers a unique blend of articles by experts and beginners alike, including a special section for newcomers wanting to learn all about the hobby and model making in general. Each issue includes featured layouts, scale drawings, layout plans, shows-you-how constructional articles and prototype surveys. Plus all the regular sections; product reviews, up-to-the-minute news, book reviews, reader's letters and the UK's most comprehensive model railway events diary. Be the first person to tell us what you think about Railway Modeller (UK) and you'll save $5 on your next purchase!